Playpak is a ‘portable activity kit’ that helps children develop through play. It is a lightweight positioning system inspired by the Squiggles Early Activity System (EAS) made by our parent company, Leckey. 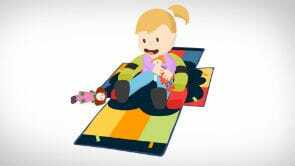 The Playpak promotes three crucial early intervention postures to let children play and learn during therapy sessions or in the home. 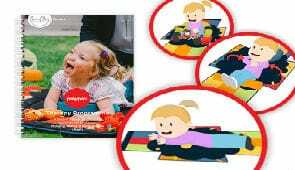 Playpak is a shoulder bag containing an activity centre for early intervention. 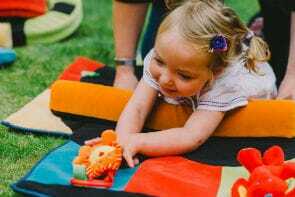 It suits babies and young children considered to be levels I-V on the Gross Motor Function Classification Scale (GMFCS), depending on their level of physical development. It contains rolls, wedges and supports designed by our clinical experts in collaboration with therapists. The components combine in dozens of ways to facilitate important developmental postures while children play. Playpak also comes with a valuable Online Activity Guide. The guide features expert advice and straightforward instructions, designed to help you show parents how to use Playpak effectively, and how to perform your recommended developmental games with their child. You can also download printed versions of the Online Guide from our Useful Downloads Section. Please download our Product Sizing Fact Sheet for more specific sizing information, and read about the clinical applications of Playpak in our Case Histories Section. 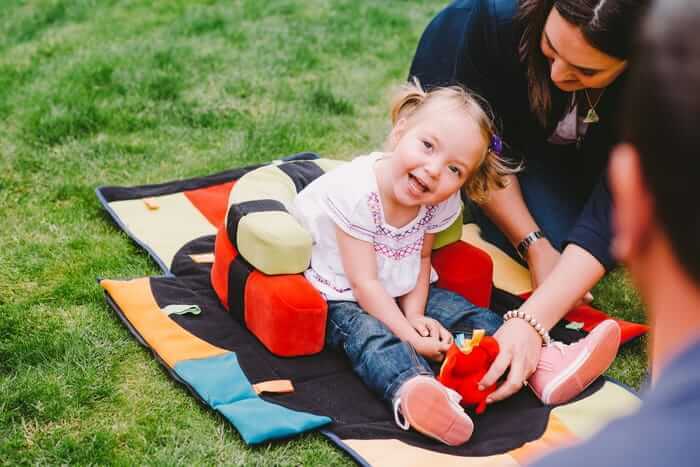 The Programme guides readers through a series of Mobility, Ability and Participation goals and activities, explaining how each one can be used to develop the earliest of skills, from lying to crawling. Parents and therapists can choose activities, set goals and map developmental progress of children as they use their Playpak. “The Playpak is an amazing piece of equipment. It is versatile to most environments and allows children of all ability levels access to floor based activities in a safe and supported way, whilst encompassing their positional goals wherever they are."